POLICE IN BELFAST have arrested a 28-year-old man on suspicion of supplying unlicensed door staff by police investigating criminal links to the East Belfast UVF. Today officers from the PSNI’s Paramilitary Crime Task Force (PCTF) supported the Security Industry Authority (SIA) conducted a search and arrest operation in Ards and North Down. The man was arrested under the Private Security Industry Act 2001 on suspicion of unlawfully supplying door staff following searches at two residential addresses in Bangor and Donaghadee, as well as an office premises in Newtownards. He has been taken to Musgrave Police Station where he is being questioned. A number of items were seized during the searches including a BB gun, a number of laptops, documents, camouflage clothing and an iPad. “Today’s joint search and arrest operation with the SIA ties into an ongoing investigation into criminality linked to the East Belfast UVF. “A 28 year old man was arrested on suspicion of supplying unlicensed door staff. The PSNI works closely with the SIA on a range of initiatives to ensure the public are kept safe by assuring that security staff are correctly licensed. 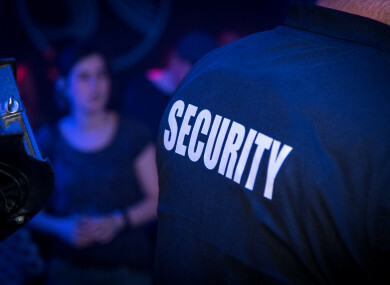 This is important work as the public are exposed to door staff when, at times, they are at their most vulnerable through the consumption of alcohol or drugs. Email “Man arrested on suspicion of supplying unlicensed door staff by police investigating UVF”. Feedback on “Man arrested on suspicion of supplying unlicensed door staff by police investigating UVF”.